Home › Investing › Wimbledon 2017 Prize Money: How Much Will Players Earn? Wimbledon 2017 Prize Money: How Much Will Players Earn? In 2017, Wimbledon singles champions earn 10% more than 2016 winners. Both men’s and women’s champions pocket £2,200,000 for taking home the top prize while losing finalists walk away with half that amount, £1,100,000. 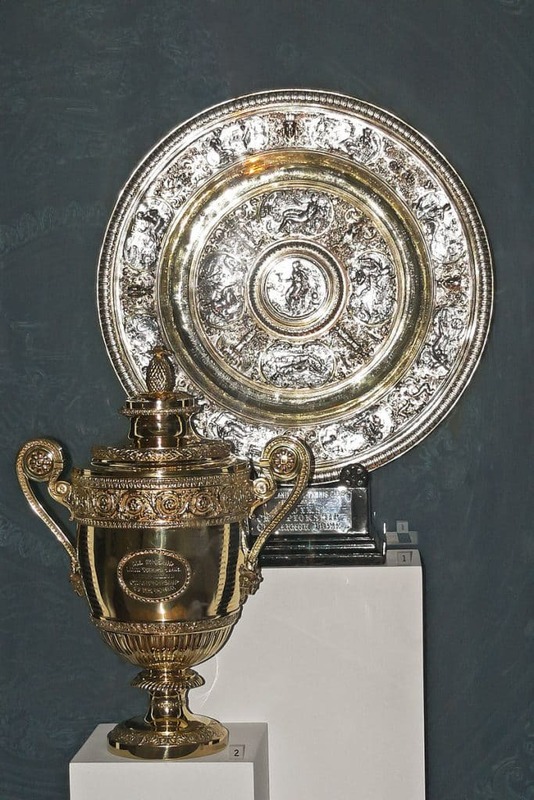 The Championships at Wimbledon are organized by the All England Club, who announced that total prize money in 2017 will amount to £31,600,000, an increase of £3,500,000 from last year. Men and women earn equal pay at Wimbledon with first round losers in 2017 earning almost 17% more than first round losers last year. Compared to 2016, the prize money at Wimbledon has increased for each round by double digits percentage levels. >> Related: How Much Does The Top 1% Make? One reason prize money may have increased at Wimbledon this year is because the U.S. dollar has been especially strong and the British Pound Sterling weak since the Brexit vote took place. The prize money at the Championships at Wimbledon rivals the total prize money at the French Open at current exchange rates. Players at Roland Garros earned €36,000 combined with winners taking home €2,100,000 each. >> Trivia Fact: Since 2011, the total prize money at Wimbledon has doubled. Plus, prize money for men’s and women’s doubles has increased almost 15% and men’s and women’s wheelchair singles has increased by one third in 2017. What do you think about the prize money at Wimbledon? Share your views with us in the comments below. We would love to hear from you. ‹ What Is An ICO (Initial Coin Offering)?